It’s been a week since I’ve buckled down on my calorie intake and exercise. I believe I’m ending this blog the way I began. I use my fitness pal app along with my Fitbit app. I am eating a certain amount of calories and making sure I burn enough too. So far it seems to be working. I’ll find out in 37 more days! I had Zumba this evening so I have in over 16,000 steps right now with 107 active minutes. My eating has been good today! I have calories left for a snack later for when my oldest and I watch a movie. 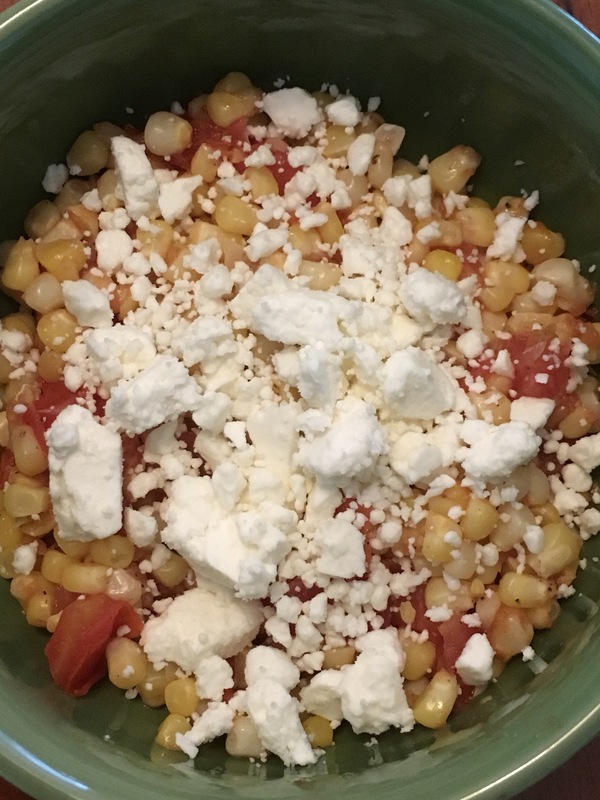 For dinner I had fresh sautéed corn and tomatoes with feta on top. It was really good. I liked it anyway. Nobody else in the house tried it. They ate leftover spaghetti.